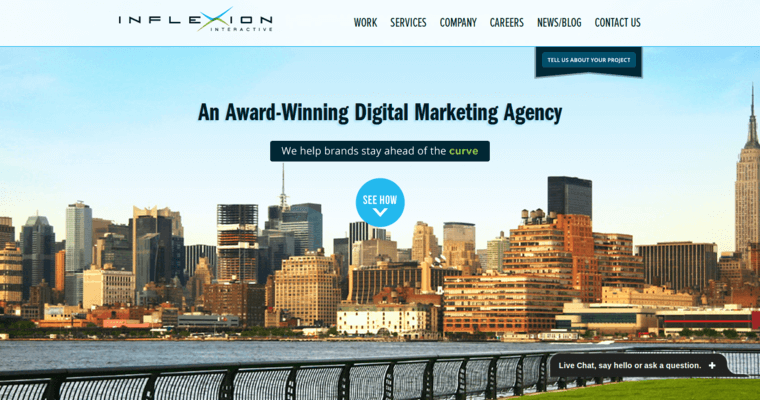 Inflexion Interactive is a web design company based in New York City, but it provides design and marketing solutions around the world. 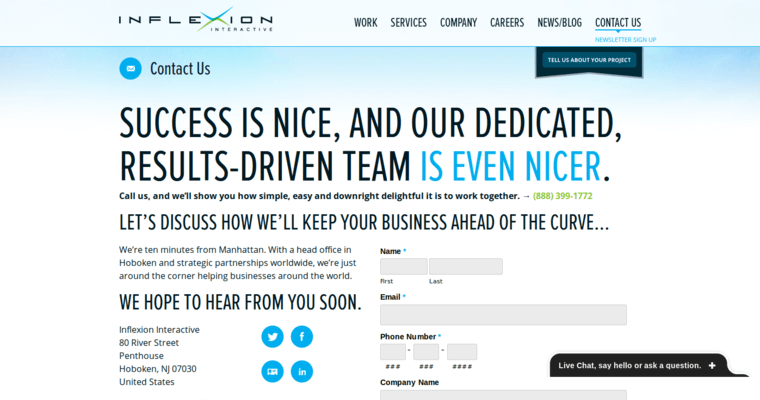 The company won a Webby honorary mention in 2012 for design excellence. 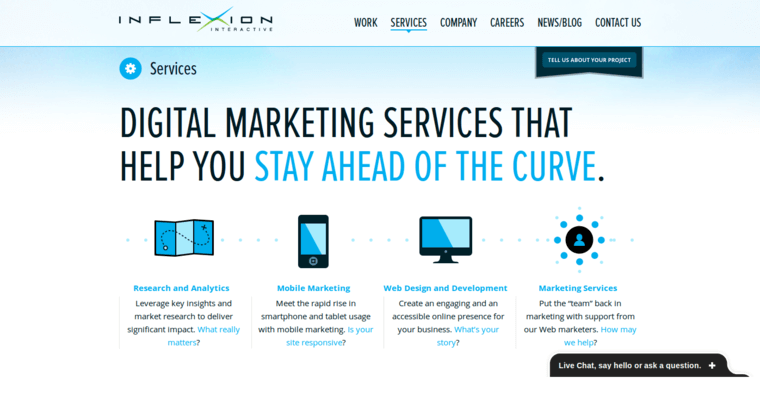 To provide the best content, Inflexion Interactive engages in a great deal of market research and analyzes data about current trends and evolving technologies to see what is working and what is not to provide the most effective strategies for expansion. Focus is not only on traditional web design but also they are knowledgeable in the realm of building mobile applications for the brands that the company support. Some companies that they have represented include Sabra, Salonpas and D Angelico Guitars.